Houston, Texas will again host this year’s Turbomachinery and Pump Symposia (TPS), where Sulzer will be on hand to demonstrate how improved performance and reliability can be delivered for rotating equipment. In addition, industry experts from the company will also be involved with the discussion groups where both visitors and exhibitors can learn more about a wide range of current issues. The symposia takes place September 12 – 15 at the George R. Brown Convention Center in Houston, and represent an excellent opportunity for all those involved with rotating equipment to meet with industry leaders and discuss both current and future issues. Sulzer brings its worldwide engineering experience to share with visitors to the symposia on Booth No. 2601, located at the entrance to the main exhibition hall. As a leading provider of maintenance solutions, Sulzer offers specialized engineering solutions, from component manufacturing to complete turnkey installations. For high voltage motors and generators, Sulzer designs and manufactures new coils that can improve efficiency and reliability as well as increasing output. For gas turbines, Sulzer offers complete overhaul facilities with in-house blade manufacturing and coating that offer improvements in efficiency, output and operating costs. Sulzer pumps are renowned for high quality and reliability, even in the most demanding environments, and the population of MSD axially split multistage pumps now exceeds 10,000 units, covering applications in product pipelines, boiler feeds, water injection and even the nuclear sector. Further details about this range of pumps and others will be available from the Sulzer team. Ron Adams, Global Portfolio Manager – Petroleum for Sulzer, is a member of the Pump Advisory Committee and will take part in Discussion Group 01: Monitoring Vibration and Other Critical Machine Conditions on Tuesday 13th and Wednesday 14th, as well as Discussion Group P11/Panel Session:Subsea Pumps and Drivers on Wednesday 14th. In addition, Thomas Felix, Analyst Engineer, will be involved with Lecture 04: High Pressure, High Temperature Shaft Seal for a Multiphase Subsea Pump on Tuesday 13th, while Kirill Grebinnyk, based at Sulzer’s Houston Service Center, will review a case study involving the redesign of a centrifugal compressor impeller by means of scalloping on Thursday the 15th. TPS continues to provide outstanding value for both exhibitors and visitors because it is organized and managed by recognized leaders within the oil & gas, petrochemical and power generation communities. As such it presents an ideal opportunity for face-to-face meetings with experts in their fields, as well as attending a large number of discussion groups led by industry experts. Sulzer welcomes everyone interested in improving the performance of their rotating equipment or looking for a professional, independent service and maintenance provider to visit the team at Booth No. 2601. With a long history of providing engineering service support, Sulzer is headquartered in Winterthur, Switzerland where it began in 1834. Today, with sales over US$ 3B and with approximately 15,000 employees, the Sulzer footprint spans across the globe. The core aim is to deliver a flexible and cost-effective service that optimizes customer operational efficiency and minimizes downtime. 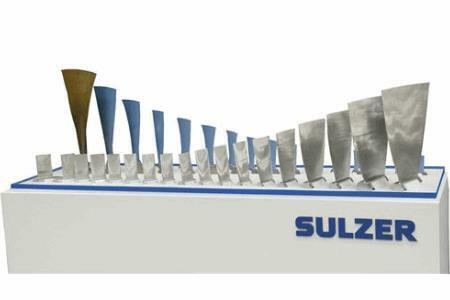 For more information, visit www.sulzer.com.